Home Tags Posts tagged with "jessica biel"
Justin Timberlake and Jessica Biel have shared the first picture with their baby boy Silas Randall on Instagram. 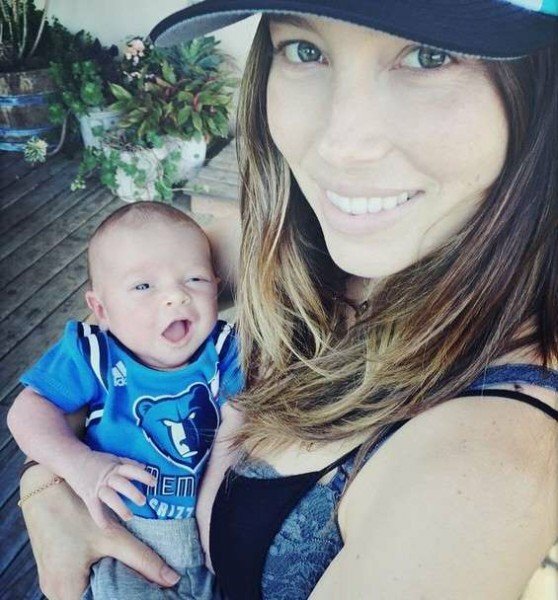 Justin Timberlake and Jessica Biel, who tied the knot in October 2012 in Fasano, Italy, welcomed Silas Randall earlier this month. Silas Randall is the couple’s first child, which he called “the greatest gift ever” in an Instagram picture just a few months ago. Justin Timberlake has described his wedding to Jessica Biel as a “total fantasy” as the couple revealed the first picture of their magical wedding ceremony in the pages of People magazine. In the shot, Justin Timberlake, 31, wearing a Tom Ford tuxedo that he helped to design, is seen literally jumping for joy, while his new wife sits serenely in the foreground in the pictures, which they sold for $300,000 following the ceremony, which is estimated to have cost around $6.5 million. Jessica Biel, 30, looked stunning for her happy day in a custom-made Giambattista Valli Haute Couture gown – shunning traditional white or ivory for a beautiful petal pink color. 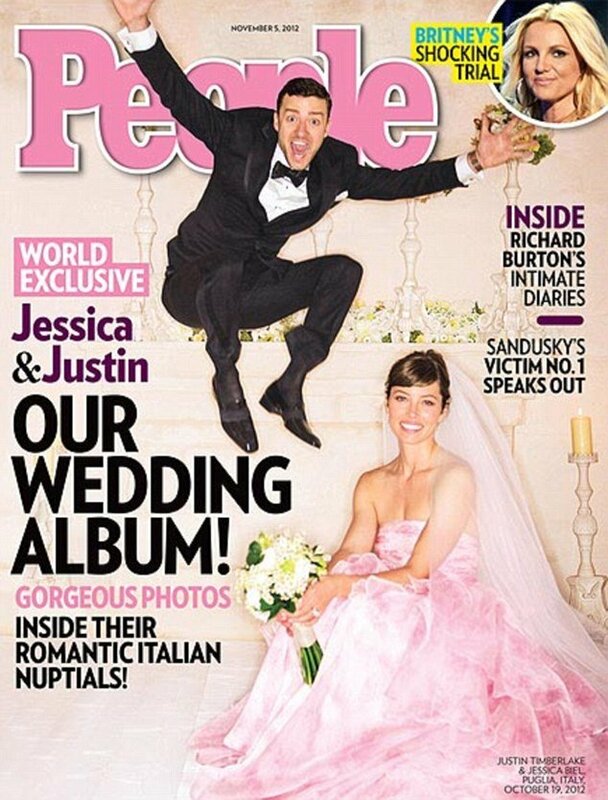 And it seems that Justin Timberlake was a fan of Jessica Biel’s brave gown choice, revealing in the magazine that his bride was “the most beautiful thing I have ever seen”. Jessica Biel teamed the strapless gown with a matching ethereal cathedral-length veil, clutching a bouquet of white flowers as she beamed for the camera. In more details from the day, Justin Timberlake revealed that he accompanied bride Jessica Biel as she walked down the aisle with a romantic ballad he had written just for her. Jessica Biel and Justin Timberlake tied the knot after a week-long celebration, which saw guests including Jimmy Fallon and Andy Samberg enjoy horseback riding and various cocktail parties at the exclusive Borgo Egnazia resort. Justin Timberlake and Jessica Biel are officially married as they confirmed the news on Friday in a statement, following days of mounting speculation about their nuptials. Justin Timberlake and Jessica Biel said their I dos in a rustic Italian ceremony in front of close friends and family. The Hollywood couple even kept their guests in the dark about exactly when the wedding would take place after flying them out to Southern Italy. Justin Timberlake, 31, and Jessica Biel, 30, had been dating for five years. He proposed in Big Sky Montana with a custom-designed ring in December last year. Justin Timberlake and Jessica Biel celebrated their engagement at a cocktail party hosted by Jessica’s stylist, Estee Stanley, at her Los Angeles home. Saturday soiree drew out a bevy of stars: among the 100 guests were Ellen DeGeneres, Amy Adams, Lance Bass, JC Chasez and Timbaland. Jessica Biel’s parents, Kimberly and Jonathan, were also there for the celebration. “Estee created a very warm, welcoming and festive party for the couple,” adds the source. After some live music, a deejay took over and guests danced to popular hits, including Madonna’s Holiday, Michael Jackson’s Good Times, Whitney Houston’s I Wanna Dance with Somebody and Usher’s OMG. Justin Timberlake and Jessica Biel “danced and looked very happy,” the source says. Afterward, there were speeches, and the source says Justin Timberlake seemed really “touched” by Timbaland’s remarks. “You could tell that they have a very special friendship,” the source says. The couple left the party at 12:30 a.m. and returned to their Hollywood Hills home.